Bow Wow got the worst birthday present ever -- an egging, which his crew thinks came at the hands of his ex-girlfriend Keyshia Cole ... as breakup revenge. 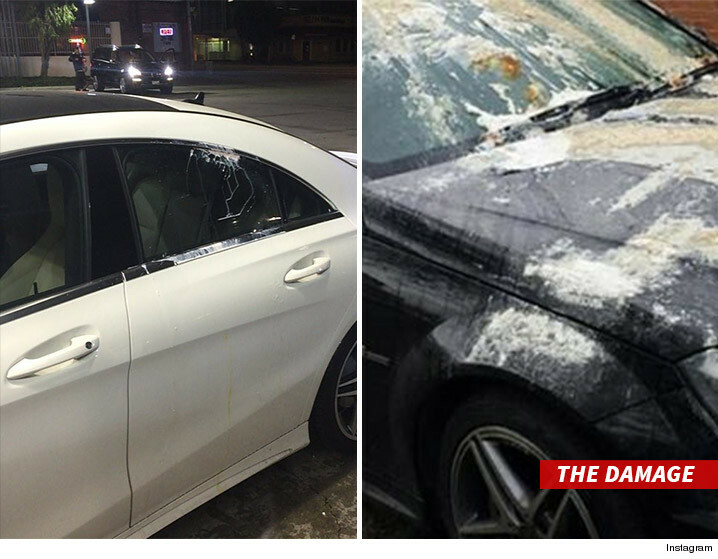 Bow Wow tweeted early Wednesday that "one of his exes" egged two luxury cars parked outside his home -- fortunately for him, the culprit messed up and yolked his friend's rides. That friend posted pics of the damage and pointed the finger at Keyshia. But Cole tells TMZ she had zero involvement in the incident, and called out Bow Wow on Twitter for "snitching." Our sources tell us Bow Wow and his crew are adamant the egg hit was meant for Bow Wow, not his pal, and think Cole is retaliating against him for ending their relationship. We're told Bow Wow -- who turns 29 today -- plans to prove it using the multiple security cameras that surround the scene of the crime.